All repairs are warrantied for 12 months past the initial purchase date. “HARD WORK NEVER HURT ANYONE.” That’s one of Benny Eskew’s favorite sayings and philosophies that he lives by. Benny has been working in the automotive industry since he was 19 years old. Benny worked hard in local automotive repair shops under seasoned mechanics learning his craft. Benny also served as a firefighter for the city of Broken Bow for many years rising to the rank of Assistant Chief. Benny and his wife Tara, went into business for themselves opening Eskew’s Garage. After many years of hard work, they were able to start a Towing business. Benny recently retired from the fire service to work as a full-time mechanic, just as his father and grandfather had done. Benny and Tara are passing this hard work ethic to their children who also work at the shop making Eskew’s Garage and Towing a true family business. A family owned and operated business, with down home values serving your family with honesty, integrity, and workmanship. We Offer Full Service Auto Repair from ASE Trained Mechanics with State of the Art Tools and Diagnostic Equipment. 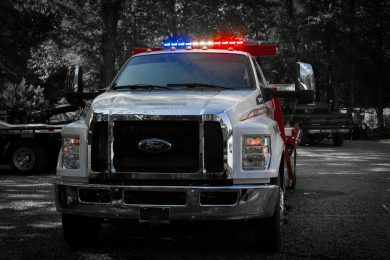 Heavy Duty, Light Trucks, Passenger Cars, Big & Small, We Fix Em All. Our Staff Has 50+ Years of Trained Automotive Experience. We practice a hard-work ethic at our place of business. We believe that the customer deserves the most value for their dollar. We strive to do things right and stand by our work. We promise to take care of your automotive repair/service needs to the best of our ability. We provide top notch maintenance service for all types of vehicles. 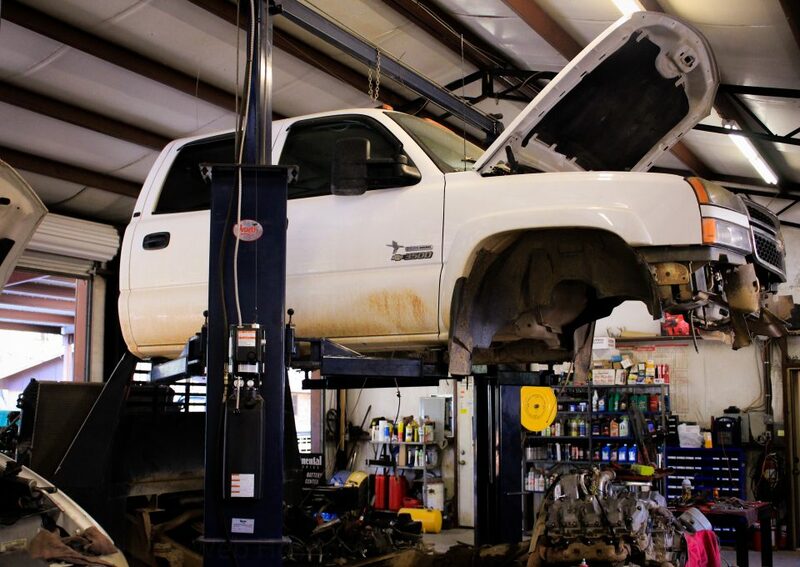 We offer a full range of garage services to vehicle owners in Broken Bow. 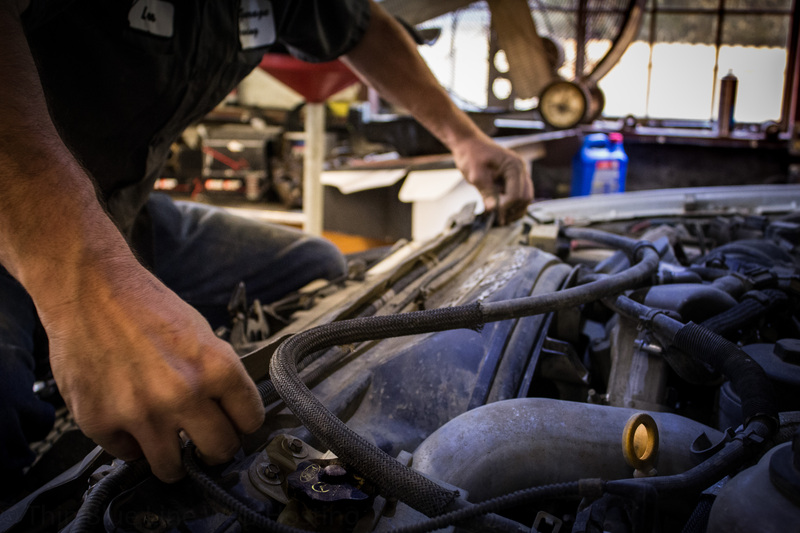 With over 50 years of shop experience, let our honest and experienced technicians get your vehicle back on the road. "Best mechanics around they have worked on our vehicles several times helped our friends out while they was down from okc drove from broken bow to spencerville to fix my truck dnt charge an arm and leg to fix ur vehicle and have fast turnouts only guys we use to work on our vehicles even if it is a 45 minute drive for us and benny is one the most honest person ull ever meet! Great job guys and gals in the office!" 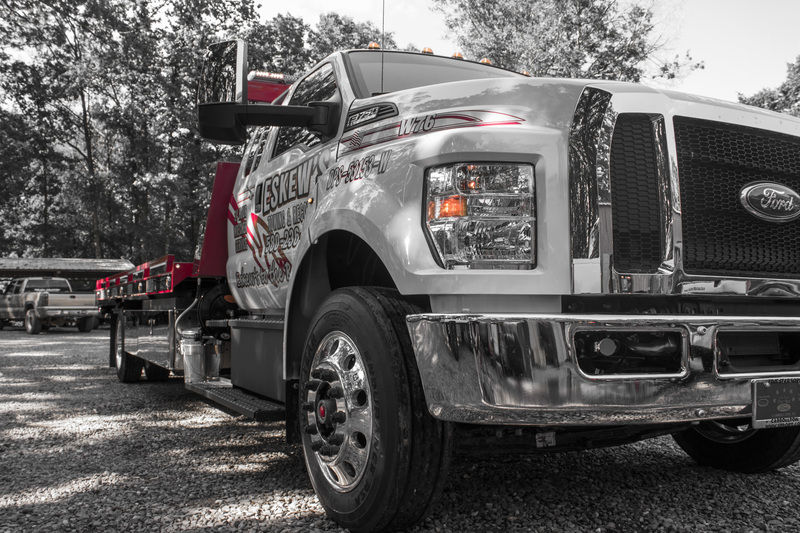 "We were really impressed with Benny at Eskew's Garage & Towing! While vacationing in Broken Bow we had car trouble and were stranded at our cabin. A passerby who stopped to help, recommended Benny's Garage. Benny drove out to our cabin, and determined it was probably the battery. He towed it to his shop, changed the battery and then personally delivered our car back to us all in about 3 hours. He even filled up our gas tank! They are the definition of customer service. Wish we had a mechanic like this back in Dallas. Thanks again!" "A great honest, reliable mechanic. will be getting all of my business from now on." "Thanks for the Expert work on the Honda CRV, Fast Friendly and Honest repair, Highly Recommended.....Thanks Guys"
"I take all my vehicles to Eskew's Garage. They are HONEST, KNOWLEDGEABLE, & DEPENDABLE. Benny has a vast knowledge of new, classic, domestic, & foreign vehicles. The garage is very neat and tidy. It is amazing to know that they have the latest tools and diagnostic equipment right here in MCCurtain County. The staff mechanics are awesome guys who know their stuff. With Tara running the office and ordering parts, we've never had to leave our cars longer than necessary. A good Garage is like a good restaurant, look at the people lined up to get service there. If you need a Tow they are super fast to get you off the side of the highway. They are the only shop I use." We can help you with everything from changing out spark plugs to a complete engine replacement. We can handle any problem on both foreign and domestic vehicles. If your brakes are making noises or grinding, it’s time to bring them in. Let our technicians diagnose and fix your brake issues in a timely manner. Those hot summer days and swampy nights in southern Oklahoma can be unbearable. Let us check your A/C and give it a fresh charge of refrigeration. Did you know that your defroster requires a properly charged A/C system to work in the winter? If you’ve locked your keys in your car and are stranded give us a call! We can unlock your vehicle for you quickly and without damaging your vehicle. If you’ve had a troublesome check engine light appear recently then you should come by and have us take a look. We’ll gladly scan your car and examine any codes being displayed. We’ll even get you a quote to fix the problem before you head back out onto the road. Having an engine that doesn’t run quite right, skips, idles hard, or ‘bogs down’ is never a good thing. Let our expert technicians take a look at your engine and examine each critical component to identify any problems you might be having. Having trouble keeping your car running? Do your lights seem dimmer? Will your car not start? This could be your alternator going bad or you may simply have a bad battery. Let us check over your car and diagnose the problem so we can get you back on the road. We offer a full range of garage services to vehicle owners located in the Broken Bow area. All mechanic services are performed by highly qualified mechanics. We can handle any car problem in a timely and efficient manner. We offer a full range of garage services to vehicle owners in Broken Bow, Oklahoma. Our professionals know how to handle a wide range of car services. Whether you drive a passenger car or medium sized truck or SUV, our mechanics strive to ensure that your vehicle will be performing at its best before leaving our shop. Flowing in cold temperatures, thus reducing engine wear during frigid startups. However, synthetic motor oil can cost two to four times as much as regular oil. So unless your owner’s manual specifies synthetic, you don’t need it. But Consumer Reports’ chief mechanic says there are some situations where synthetic oil’s resistance to breakdown can help prolong the life of an engine. If you make lots of short trips, standard motor oil may never get warm enough to burn off moisture and impurities. That could hasten the breakdown of conventional oil. Also, if you live in a region with very cold winters or very hot summers, or if you use your vehicle for towing or hauling heavy material, synthetic oil won’t break down as quickly. While synthetic generally holds up better and can serve for more miles, it is important to not extend oil changes beyond the time interval recommended by the manufacturer—typically six months or a year. 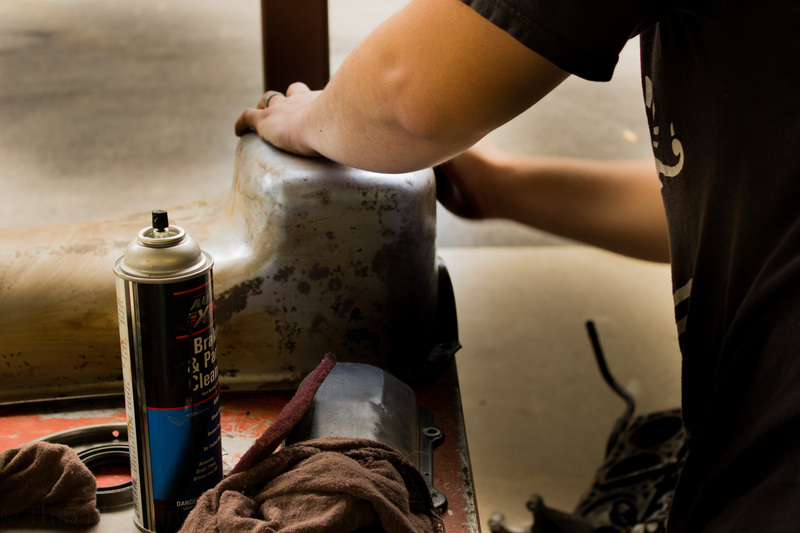 Another good use for synthetic oil is as a salve for older engines prone to sludge buildup. This gunky residue can block oil passages and lead to a quick death of an engine. In the early 2000s, several engines from Chrysler, Toyota, and Volkswagen, among others, were especially prone to sludge buildup. This sludge forms when oil breaks down. Synthetic oil would be beneficial in those engines, as it is less likely to form troublesome sludge. Using synthetic in these situations will prolong your oil life and require fewer changes. That’s a major benefit to the environment, as used motor oil is a major source of toxic waste in water. Your pocketbook will also thank you. Trying to remember all your appointments, important dates and phone numbers is commendable, if hardly possible. That’s a major reason you carry a smartphone; its ability to make calls has almost become an ancillary feature. So, considering what you already need to keep sorted, you might think you don’t have head space for a car part replacement calendar. Proper car upkeep takes more than keeping gas in the tank and changing the engine oil regularly, so neglect is neither an option nor an excuse. So, at least whip out your phone and enter our advice — it ranks high — at least it should — among must-remember data. For each entry on our car part replacement calendar, we’ll show the general time and/or mileage intervals between replacements, but always confirm with your owner’s manual, since these may vary from car to car. This is an item that’s probably as important as it is overlooked. Assuming yours is a fuel-injected car, the fuel filter is more or less on continuous duty whenever your ignition is on and the fuel pump is active, preventing impurities from clogging injectors. So, over time, replacement will be necessary. Locations vary from beneath the hood or undercarriage to inside the fuel tank itself. Since systems are often pressurized and fuel lines need to be safely crimped, you might prefer to let a technician handle it. When to replace: Every 2 years or 24,000 miles. On your car part replacement calendar, it doesn’t get much easier than where your power steering fluid is concerned. Still, give it proper consideration, since it lubricates the system and keeps steering feel consistent. Periodic checks of the fluid are done with a glance at the reservoir or the dipstick inside it. Make sure you add only the manufacturer’s suggested fluid type and talk to a technician if the level drops considerably or you feel surges of resistance as you turn the wheel. When to replace: Inspect level with every engine oil change, top-off as needed. How often do car batteries receive proactive attention? About as frequently as Metallica’s “Battery” is heard on easy-listening stations. Even if you keep your terminals clean and your charging system works fine, you’ll eventually need to replace the battery. When you do, do it right. Use only the battery that matches manufacturer’s specs at the very least. Consider upgrading to advanced-technology batteries that offset higher initial cost with extended life and more consistent performance. When to replace: Typically 48 to 60 months or as needed. Most often out of sight and out of mind, the air filter deserves better, and a place on your car part replacement calendar is a start. Try running with your hand over your mouth, and you’ll get an idea how much your engine depends on air. That air for the engine and airflow sensor still has to be free of contaminates, though, and that’s your air filter’s job. 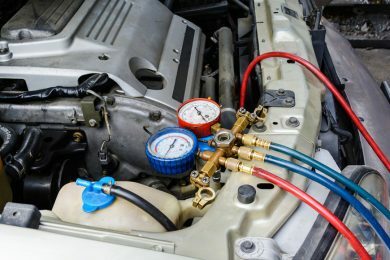 Be aware of manufacturer recommendations for replacing related air flow components like the PCV valve and oxygen sensor, if your car has them. When to replace: 12 months, 12,000 miles or as needed. 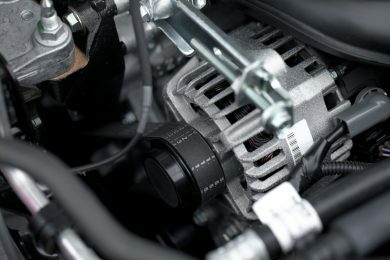 In cars with conventional automatic or clutchless gearboxes, fluid is to the transmission what oil is to the engine in terms of function and importance. It fights friction and keeps things within safe operating temps. Ignoring it pretty much leads to the same issues: expensive repair bills at the mechanic. Fortunately, prevention is similarly easy. Check the fluid periodically, top off with the specific kind recommended in your owner’s manual and change it occasionally along with the filter. You can’t have an internal combustion engine without combustion, and spark plugs make it happen by firing up the mixture of air and fuel in each cylinder, either alone or in a pair. Cleaner-burning engines and advances in plug construction mean less maintenance and extended service, but they still need replacement. Whether or not they’ve reached their mileage limit, they (and the plug wires) could be to blame when mileage suffers, the engine runs poorly and you fail your emissions test. When to replace: Every 30,000 to 100,000 miles. It’s no accident for engine belts to have a prominent spot on your car part replacement calendar. The one or more outside keep components like your alternator and water pump active. Inside, the timing belt (some cars have timing chains) keeps valves from bashing into pistons. When either belt fails, it’s bad news. At the least, your forward progress will cease to be. At worst, you’ll need major engine work at the mechanic in the case of some timing belt breakage and the resulting carnage. When to replace: Every 3 years or 36,000 miles for engine belts or 60,000 to 90,000 miles for the timing belt. That liquid in the radiator is a real multitasker. It serves as antifreeze, coolant and guards against corrosion in the cooling system. So, given its duties, you can appreciate its rank on your car part replacement calendar. Do check the level regularly, but also understand its cleanliness and potency diminish. Topping off and changing should only be done with the right coolant type and water mixture ratio (typically 50/50). Tire wear patterns are telling — revealing aggressive driving, improper inflation or worn suspension components. Regardless, you’ll eventually need fresh tires. The best way to confirm is with a tread depth gauge. Alternately, stick a penny upside down in the grooves (if you see the top of the president’s head, it’s time to replace the tire) or check built-in wear bars. Age is also a concern, since longer lasting tires and use of multiple sets (i.e., winter and summer) can mean safety is compromised even with adequate tread depth. When to replace: At the minimum safe tread depth or 6 to 10 years. We’re honestly baffled why anyone would ignore or even undervalue their brake system. The effects of failures of the other items on our car part replacement calendar range from inconvenient to being stranded, but with the possible exception of tires, nothing’s potentially lethal except brakes. Preventing that mess is drama-free: Just check the fluid level and change it every so often. Keep an eye on brake pad condition, and replace as soon as safety is compromised. When to replace: Every 2 years or 24,000 miles (fluid), prior to minimum safe thickness (pads). Maintaining your car by keeping the aforementioned parts in good working order may not be the sexiest part of owning a vehicle, but it does let you get to enjoy the fun stuff instead of being stranded with non-functioning ride. There are several ways to keep track of your car’s needs. Often times filters, spark plugs, and other items need to be changed. While some people are good at keeping track of these things, not everyone tends to remember when it’s time for a change. In a new world of smartphone technology, here is an article discussing the best 14 car maintenance apps of 2016.